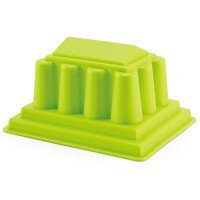 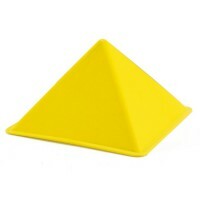 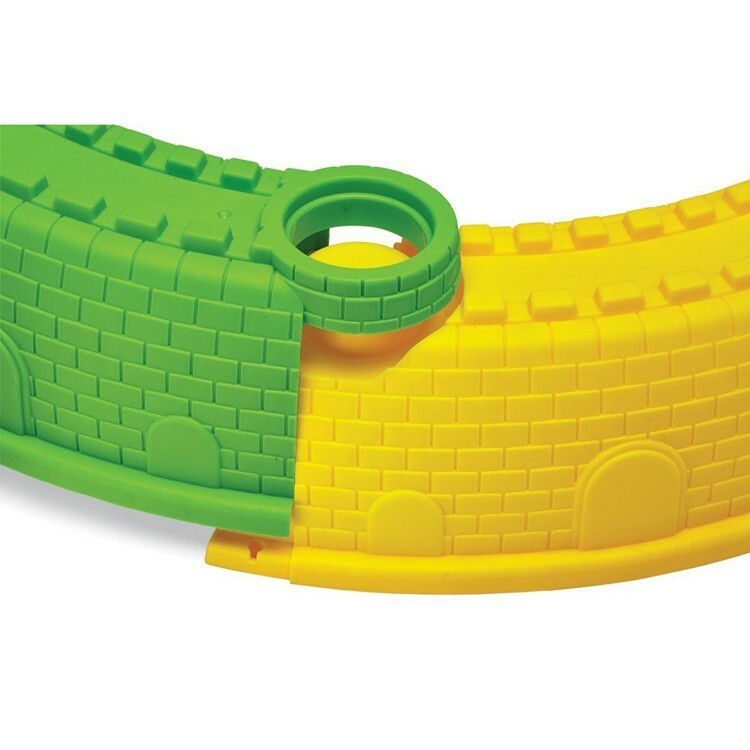 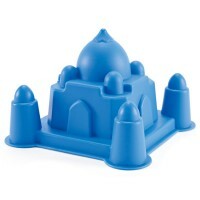 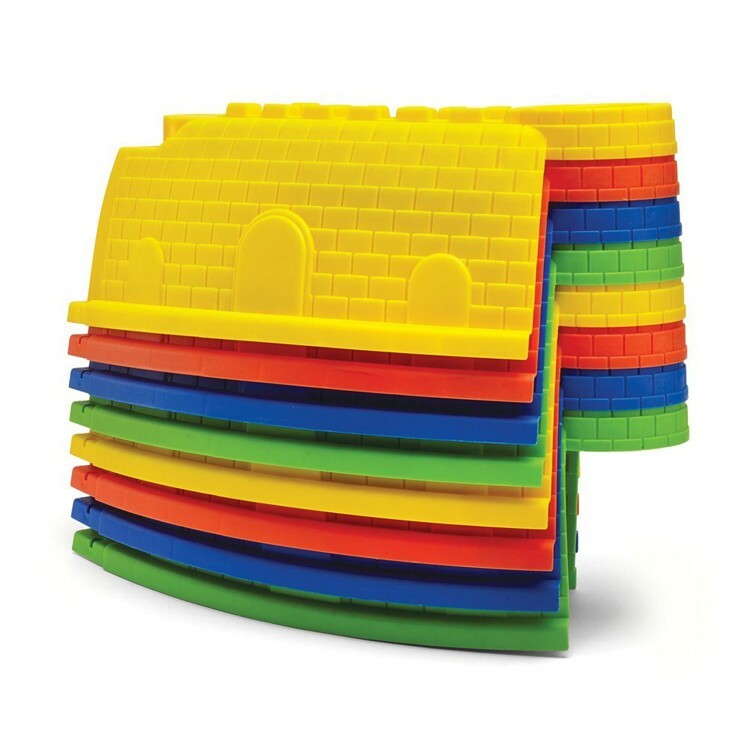 This Kidoozie sand toy set features 8 colorful castle wall sand molds that snap together into a 34-inches sand pit. 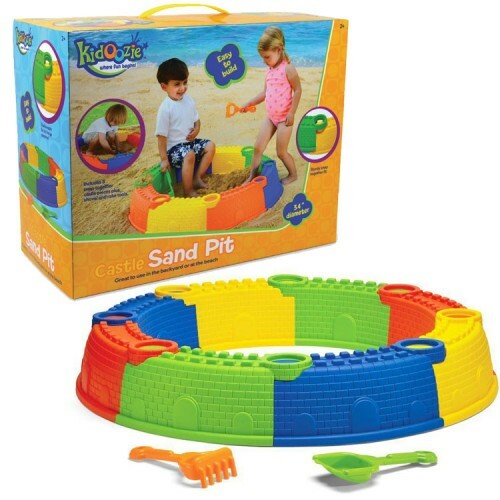 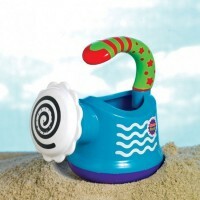 Keep your child busy and entertained with sand and water in his own beach pit. 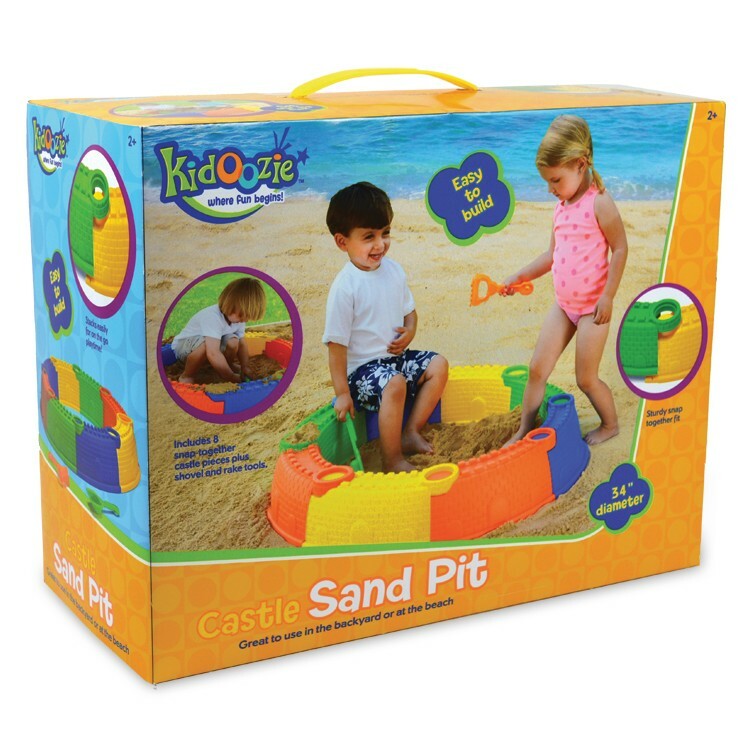 Your little one will love to play with the Castle Sand Pit 10 pc Beach Set on the beach or in your own backyard. 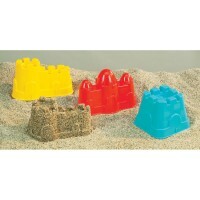 This Kidoozie sand toy set features 8 colorful castle wall sand molds that snap together into a 34-inches sand pit. 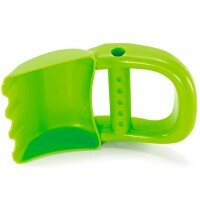 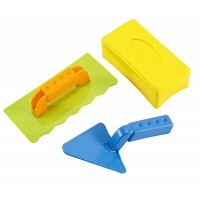 The sand mold set from Educational Toys Planet comes complete with hand shovel and rake. 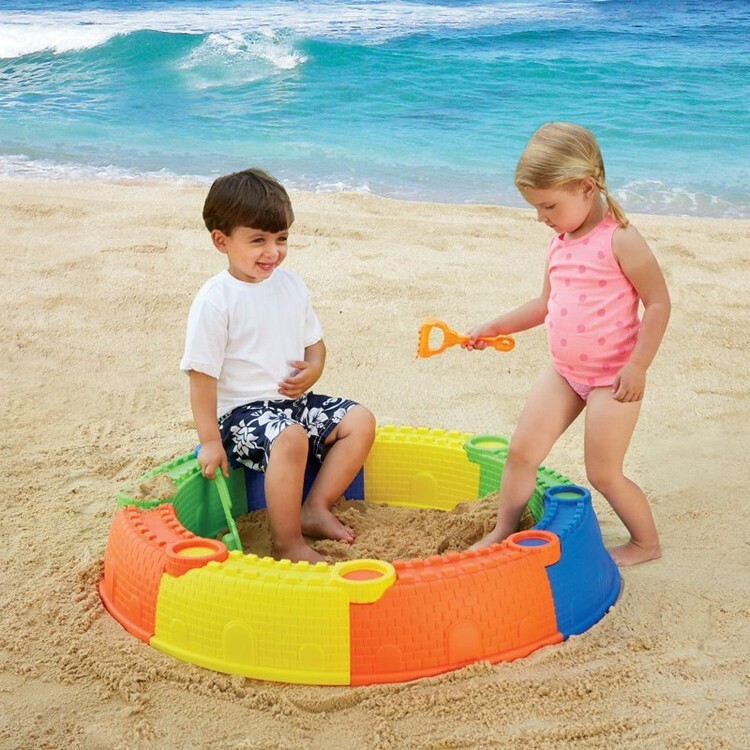 Easy to assemble, fun to play with, and no-hassle to take apart, the Castle Sand Pit 10 pc Beach Play Set will become kids' favorite beach plaything. 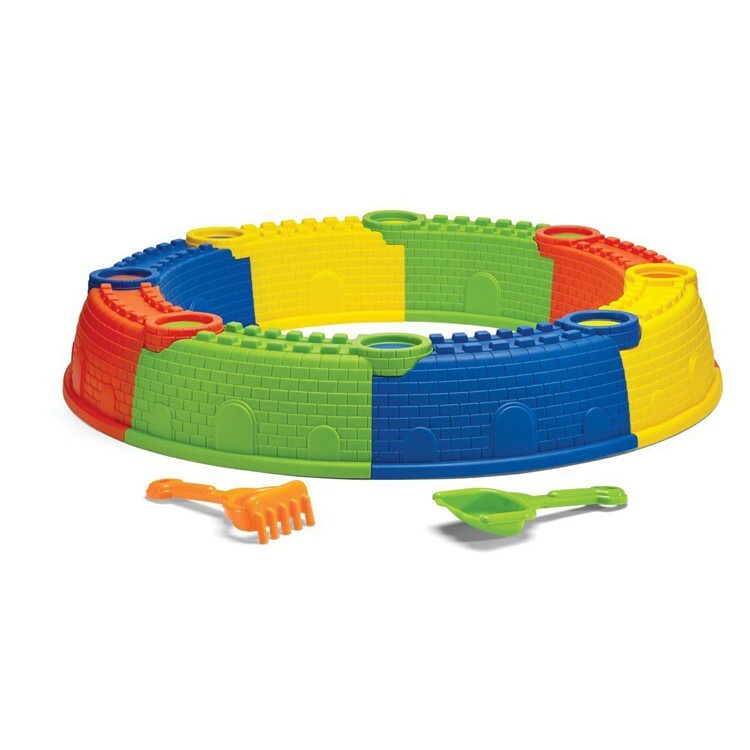 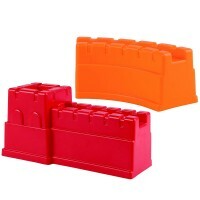 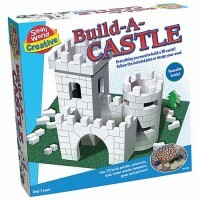 The castle pieces can also be used as a sand molds to build a giant sand castle. Now your toddler or young child can have hours of fun building sand castles or roads, playing with water, and enjoying outdoor play. 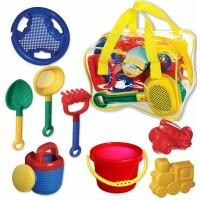 Dimensions of package 7.25" x 16.25" x 12.75"
Write your own review of Castle Sand Pit 10 pc Beach Play Set.